"Something like, having empathy, and wanting to go up to someone is something that we really can't train. That's something that the dogs have themselves," said Janice Campbell of the Tri-State Canine Response Team said. These dogs were chosen from a group of therapy dogs because they are elite. They can identify those who seem to be in serious need of comfort. "We'll be out somewhere during the time of a crisis, and the dogs will see somebody upset. They will guide us over to that person and they will put their head in their lap or on their shoulder and provide emotional support to them, that is something they seek out," said Campbell. The dogs left Haddon Heights around 8 a.m. with six handlers and staff. For Cece, this is her fourth deployment. For the others, it is their first. The staff has no doubt that these dogs will bring comfort to those who are going through some very tough times. 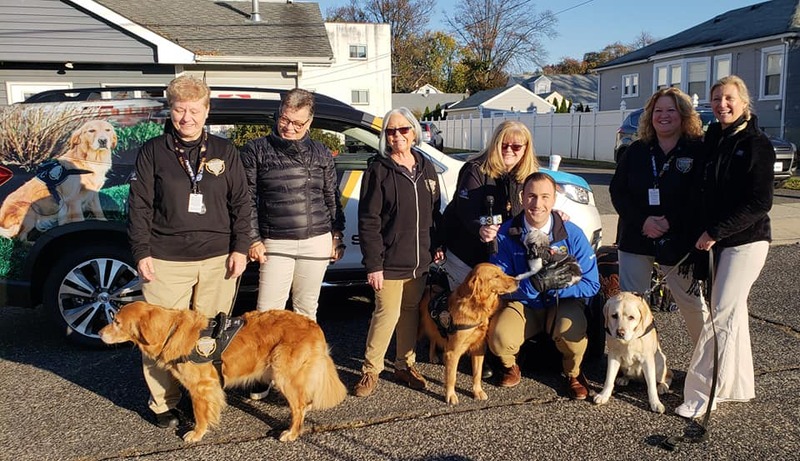 Published by: Bob Brooks, Monday, November 12, 2018 07:34A, HADDON HEIGHTS, N.J. (WPVI) 6 ABC News.